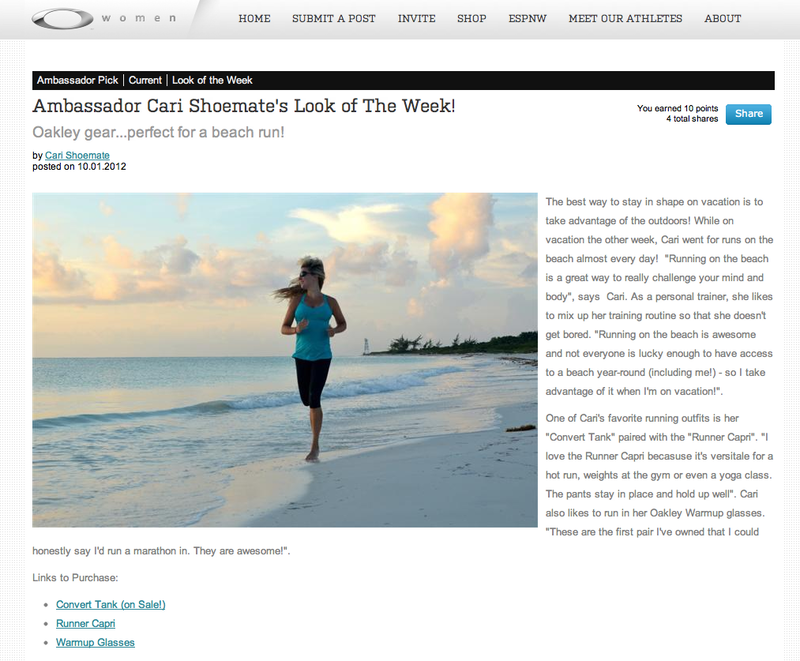 Oakley Ambassador Cari Shoemate’s Look of The Week! This week I’m featured on Oakley’s Perform Beautifully site…OakleyPBC.com. 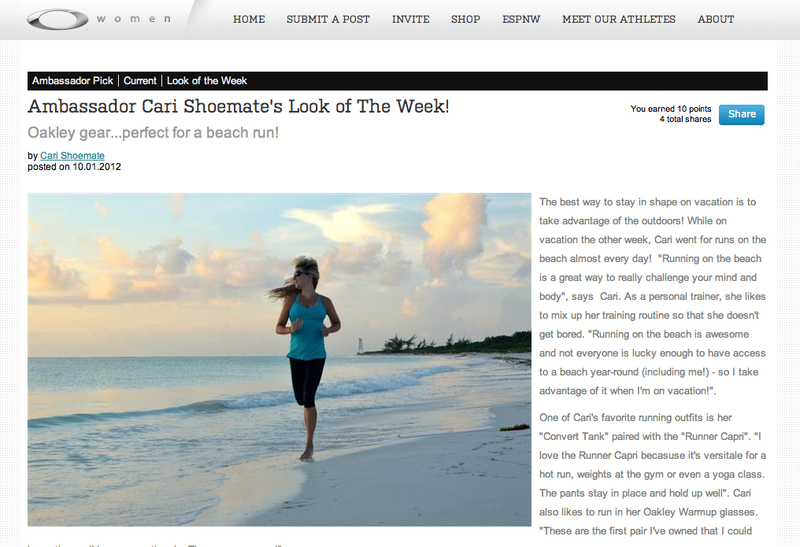 Click on the post below to read about my “look of the week” along with some vacation workout tips!